Unitronic's 3" V-Band to 60mm Adapter is constructed of 3" T304 stainless steel tubing and features a TIG welded T316 Stainless Steel V-Band Flange. It is built to outlast and outperform the competition. 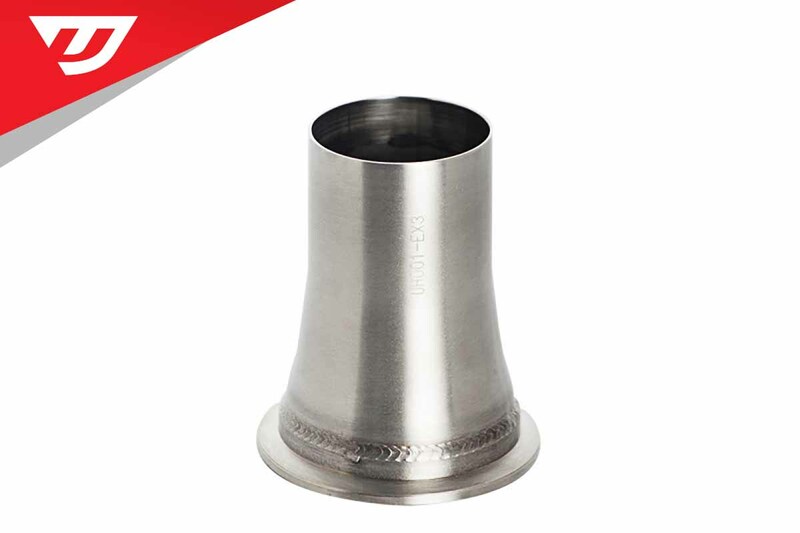 Use this adapter to mate Unitronic's 3" Downpipe to your stock cat-back exhaust system. There's simply nothing like it!